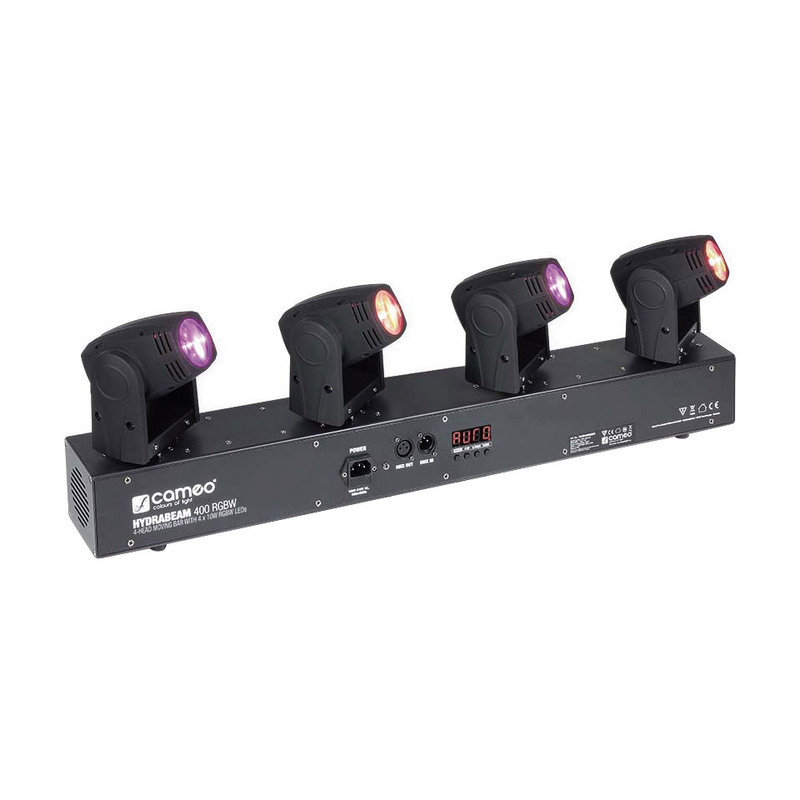 The Cameo Hydra Beam 400 RGBW is a bar with 4 ultra-fast moving heads, which can be controlled independently. 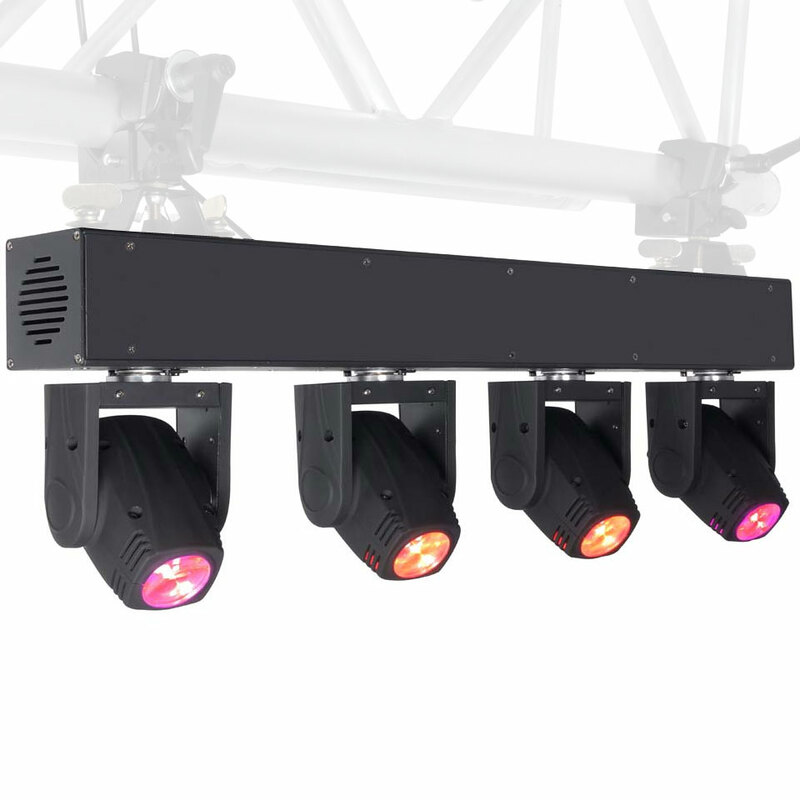 They are equipped with high-intensity 10 W quad-LEDs from the leading manufacturer Cree, achieve a tightly focused radiation of 11 °. The fixtures are each to 540 ° horizontally and 270 ° vertically moveable and cooled by an extremely low-noise fan. 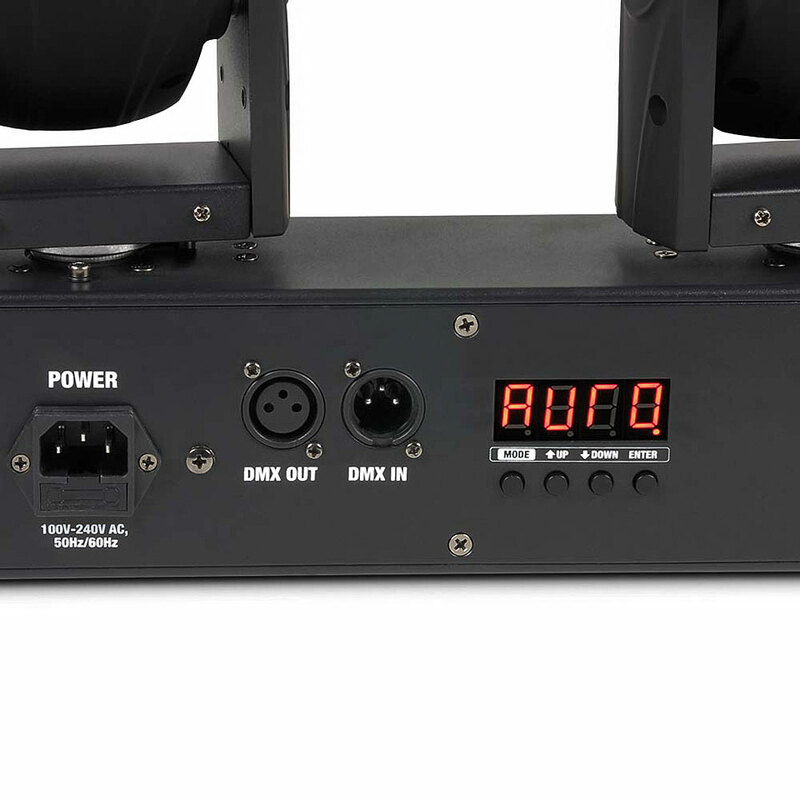 The Hydra Beam 400 can be used in the DMX modes 6-channel, 10-channel, 19-channel and 32-channel or controlled by external sound sources and used as master, slave or stand alone. 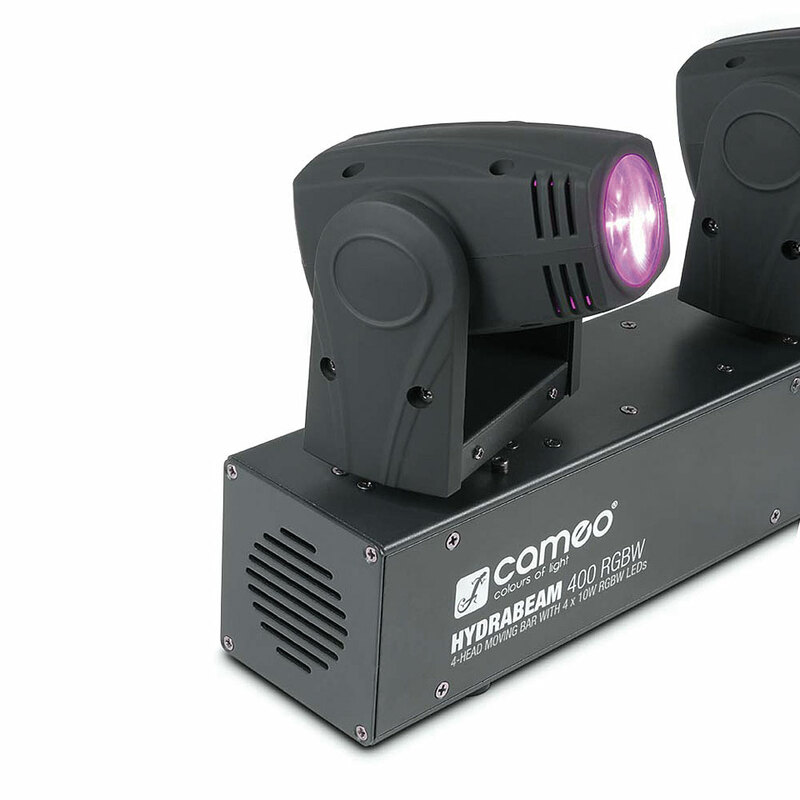 16 automated programs ensure lively movement patterns that generate strobe functions up to 30 flashes per second. DMX intense color variations can be selected. The robust construction made of black steel and ABS has a backlit display with four buttons for easy operation. 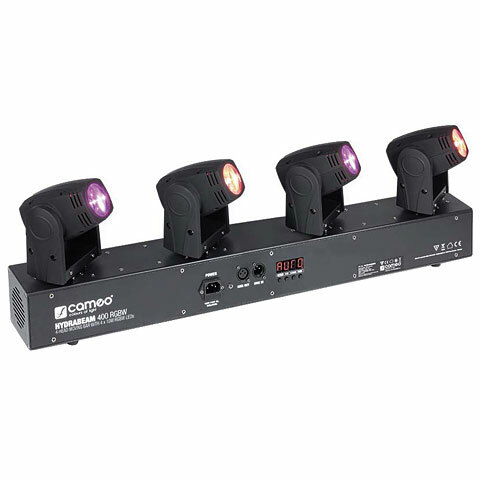 The Cameo Hydra Beam 400 can operate with supply voltages from 100 to 240 volts, the current consumption is 100 watts which is very low. 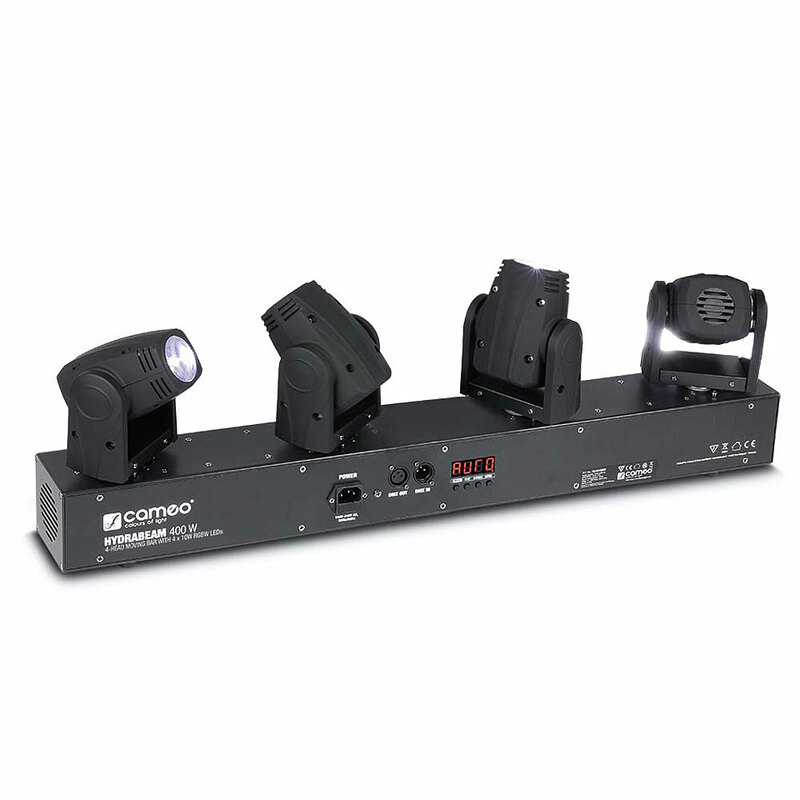 For extensive mounting options, for example, on trusses, two Omega brackets and a removable stand mount are included. 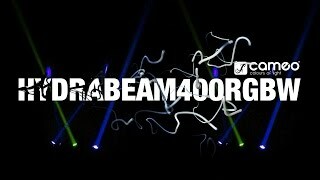 · Show all articles of the brand Cameo.